Real Asian Beauty: Bag Collection + GIVEAWAY!! Happy Chinese New Year, everyone! Kung Hei Fat Choi! 새해 복 많이 받으세요~ I just came back from a 4-day long-weekend vacation! All thanks to the Chinese New Year! Now I feel so refreshed and I am so ready for all the work! To share this very positive feeling, LightInTheBox and I are giving you a little giveaway! You've probably heard me mention LightInTheBox in a couple of videos and blog posts. LITB is an online shopping site that provides a variety of hot selling products at reasonable prices and shipping them globally! I get nail art stuff, clothes, accessories, shoes and most of all,handbags from their website. I have to say that the quality of their products are good. And you know what? I've seen some of their products on other online shops, too... but LITB offers them much, much cheaper! What a steal! 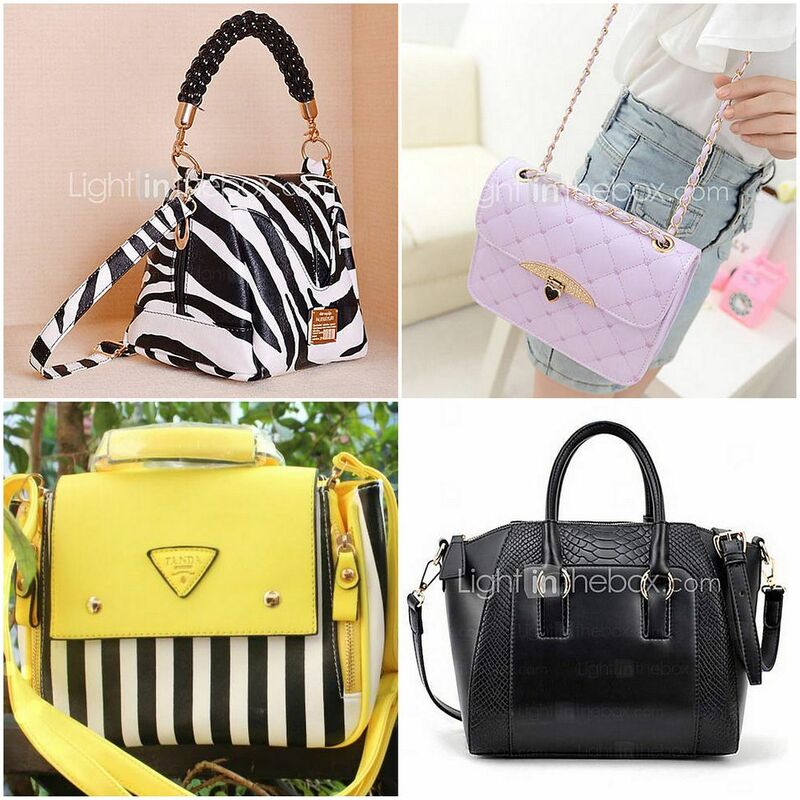 What to win: You could win 1 top and 1 handbag from LightInTheBox! To help you decide, I will be showing some of the bags that I got from their website. Also, here are some photos of me wearing blouses from LightInTheBox. Top and Shoes from LightInTheBox. LIKE LightInTheBox(here) and RealAsianBeauty(here) on Facebook. Comment ON this blog post and give us the #number of the item/items. And tell us the reason why you like it! So easy! Giveaway is open INTERNATIONAL until February 7, 2014. Good luck!